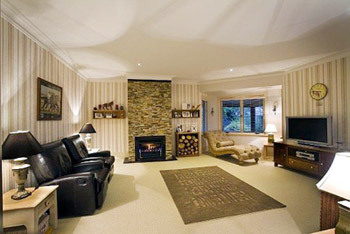 Why choose Century 21 Wentworth Falls? Working with the experts… Smart Move. It’s the wealth of experience and our way of dealing with clients that brings people back to Century 21. We’re simply the experts in the art of real estate. We know that for many people buying or selling property can be a stressful and confusing time. So we make it our business to be available when you need us. We offer advice, and help you navigate the best path through the process. We know the marketplace, the buyers, sellers, and neighbourhoods. We offer state of the art sales tools and technology. We put you in control of your sale or purchase – and help you get the best result. 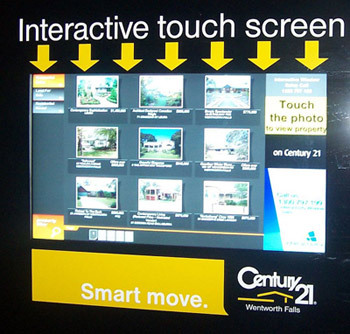 Century 21 Wentworth Falls… Smart Move. Selling your home is a process that relies on sound advice and useful tips from experienced real estate professionals. 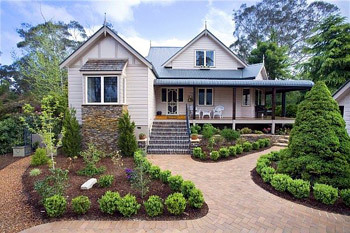 Our selling page will provide you with information on what you need to know to sell your property in The Blue Mountains. Who do I list with? What do I need to do to get my property on the market? When it comes to selling your property there are a few key points to consider. Who will I list with? What method of sale will I choose? What do I need to do to get the property on the market? All three questions need to be thought out and discussed with an industry professional. When choosing an agent, do your homework. Look at other sales the agent has achieved in your area, or a similar area. Meet with them face to face to ensure you feel comfortable with their sales style, and, look at the agency behind the agent. A strong agency will provide the necessary support to the agent and the marketing campaign. Presentation of your home is key, and done properly, will increase its saleability. If you have a pool, take time to get it to its sparkling best. Look at its tiles and walls to ensure they are stain free. Clean windows from dirt, mould, cobwebs and bird droppings. Dust furniture, skirting boards and window sills. You will be surprised who notices. Declutter, declutter…this is so important! Keep the windows open during the inspections and place fresh soap and flowers. Sweep pathways & make sure gardens are neat and presentable. Buying the right home for you and your needs requires research, speaking to knowledgeable people and knowing what you require. Below are tools that the team at Century 21 Wentworth Falls believe are necessary for you to know and understand when buying your dream home. Buying a home or buying an investment property? How to buy a home to live in? How to buy an investment property? Buying a property can be a lot of fun for some and highly stressful for others. The key is to be prepared and to do your homework. First step is to have your finances organised. Research the area you intend to buy in; scout the metropolitan and local papers and browse the real estate internet sites. Understand the market value of your area of interest and its recent market trends; it won’t hurt to attend a few auctions, not only will it provide you with a snap shot of the current market value but it will make you more aware of the auction process. When you have chosen a selection of properties to inspect, get to know the agents and understand the sale situation of each. After you select your property, make sure you have a solicitor or conveyancer to oversee the contract. You may be advised to conduct a pest and building inspection; this will allow you to make an informed decision before you sign a contract of sale or attend an auction. Once contracts are exchanged, congratulations, it is time for a celebration. Whether you are saving a deposit for a home or you are ready to buy now, a budget is a great tool for finding out where your ‘spending leaks’ are and how you can save more money. Every person can benefit from doing a simple budget. The more you know about your incomings and outgoings, the more control you have over your finances. Start by making a list of all your ‘incomings’. That includes your salary, any interest from bank accounts, rental properties, dividends or any other money that comes in. If it’s easier you might want to work it out on a yearly amount and then simply divide into 12 for your monthly incomings. (And don’t forget to make it after-tax, particularly when you are considering your salary. Next step is to work out your ‘outgoings’. And this is the trick to a budget. First start with your ‘big picture’ outgoings. Rent or mortgage, credit card payments, school fees, utilities, food bills. Again you might want to make this a yearly figure and divide by 12 to get your average monthly outgoings. These major outgoings are generally a good starting point, and will show you how much is left after you deduct the outgoings from the incomings, for your average monthly ‘disposable income’. However you also have to consider what you spend on clothes and shoes, school uniforms, memberships to clubs, the amount you spend on toys or gadgets, birthday and Christmas presents, eating out and so on. To get a fuller picture of what goes out try keeping a ‘spending diary’ for a month. We guarantee it will throw up a few surprise ‘leaks’ in your financial bucket! Just one example: if you buy coffee and toast at work every morning, and that costs you $5 per day, over a year that could add up to $1,300. Or if you miss a payment on your credit card and get charged additional interest or a late fee, that will really add up over the year. Something as simple as making the payment on time by direct debit, or making your breakfast at home can save you literally thousands of dollars per year. With very little sacrifice on your part. Why not make today the day you start to work out your own budget. Think of the home you could put all that extra money towards! Firstly, if you are looking for a property to purchase you will find our website a great resource. Register for Property Alerts to be automatically sent the most up to date listings. Talk to your local Century 21 agent about the property you are looking for, because we’re the experts in any neighbourhood and might be able to tell you about upcoming sales or auctions. Once your agent knows the kind of property you are looking for it will be like having an extra pair of eyes with your aim in mind – when they receive a new listing they will consider whether it fits your requirements. Make use of calculators that show what your repayments would be per month on a certain loan figure. Shop around for the loan that suits your lifestyle but always factor in the possibility of interest rate increases – could you still afford to make your repayments at a higher interest rate? Very Important – Set yourself an upper limit when bidding at auction and when you reach it, stop bidding. Often people find themselves having to borrow extra money from family and friends to cover an emotional extra bid made to secure a property – when they have not been approved for that much from the bank. he most important piece of advice when investing in the property market is to do your homework. Assess your budget realistically so you know whether or not you can afford the monthly cost of an investment property. Fixed interest rate loans are very popular with investors as these allow you to accurately budget for your repayments, knowing your levels won’t increase. And because it’s only the interest that’s tax deductible, most investors believe that repaying more is not tax effective. Always remember, your owner-occupier home repayments should take priority over your investment loan because your interest payments on your investment loan are tax deductible. We can advise you of the real costs of buying an investment property. While your choices regarding your homeowner property will be primarily influenced by emotional reasons (such as personal taste), your property investment will need a different approach. The best way to view your investment is in purely financial terms of risk and return. You need to consider both the rental return and the potential capital growth. There’s a reason why the catchcry, “location, location, location!” is such an over-used phrase: it’s because location is your potential trump card in property investment. Spending time researching areas before you invest can save you effort and wads of cash; and choosing the right areas is not as straightforward as it sounds! Put yourself in the shoes of your future tenants when deciding upon location; those who are renting usually value convenience, so include proximity to public transport, public amenities, shopping centres and parks in your choice. It can also be a good idea to buy property within convenient driving distance of your own home, so you can check on the property with relative ease. Talk with us about vacancy levels, rental levels and expected future capital growth of the area. Make sure that you have a really good understanding of an area before you purchase a property in it. Reassess your budget with a view to gauging exactly how much you want to spend; of course, the choice of unit or house will have significant bearing on this. Units are generally a more popular choice for several reasons; less maintenance is involved, larger tenant demand and generally lower price range. Many investors look for newer properties where the maintenance is going to be less than older properties but find that depreciation tax deductions are higher. Who looks after your property? While some property investors choose to take the management of the premises upon themselves, most people prefer to arrange for a real estate agent to manage the property for them. We are fully versed in all aspects of property management and can assist you so that you can sit back and enjoy your investment. Remember that if you do decide to take up the role, there will be a number of aspects to consider: finding and vetting the right tenants, collecting and accounting for rentals, paying outgoings such as body corporate fees and rates, arranging maintenance work and conducting ongoing inspections. Think carefully about whether you’ll realistically have the time to cater to these pressing needs. You may have difficulty finding the monthly shortfall from your other income sources. To succeed in property investment you need to devote time to some serious planning and preparation. However, if you are prepared to do your homework upfront, investing in property can be extremely satisfying as well as financially rewarding. The term “negative gearing” is classic jargon that is often misunderstood. An investment property is “negatively geared” when the mortgage interest and other tax deductions such as management fees, rates and maintenance costs are greater than the rental income. This results in a net loss that may be offset against your other income (such as your salary) which then lowers your overall tax bill. In this way, the taxman as well as your tenant helps you pay for your investment property. And hopefully, your property is steadily appreciating in value. Most people feel more comfortable “gearing” or borrowing to pay for an investment property or properties than borrowing to purchase shares that are generally much more volatile. Attend some auctions to get an understanding of how the process works so that you are confident on the big day. If you are not comfortable bidding and you are very interested in the property, then make a pre-auction offer or arrange for a friend or relative to bid for you. When you do bid, bid with confidence. Try not to get too emotional about a property: there will always be other places to choose from. If you want it at all costs, that is exactly what may happen. If your auction bid is successful, once the property is “knocked down” to you as the buyer, you are required to sign the contract and pay a deposit, which is usually 10 per cent of the purchase price. If you really want the property and don’t want to bid at auction, you can put in a pre-auction offer. Many properties are sold this way. Some vendors will still want to go to auction, but many are willing to negotiate. Authority to sell: this legally binding document signed by the seller details the agreement between the seller and the agent. Body corporate: when a property is on strata or community title each owner, for example in a block of flats, becomes a member of the body corporate. This group is responsible for the maintenance of the common property like walkways, lifts, gardens etc. As a lot owner you will pay a contribution to the body corporate, generally on a quarterly basis. Always factor in the body corporate fees when assessing whether to buy a property, as this cost is on top of your council and water rates, and any other regular property ownership outgoings. Buyer’s agent: will search for properties for you, conduct background checks on the property and area, negotiate with agents and bid at auction for you. Payment may be a percentage of your purchase price or a flat fee. Capital Gains Tax: based on your marginal income tax rate in the year you sell an investment property, this tax applies to the gain your property has made between buying and selling, less inflation. Certificate of title: the document that shows who owns the property as well as all the associated detail of size, whether there is a mortgage registered on the title, etc. 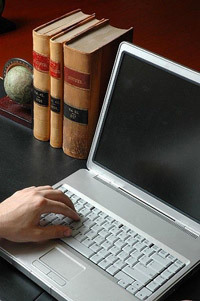 Your solicitor or conveyancer will conduct a titles search as part of your purchase procedure. Commission: paid by the seller of a property to the estate agent, generally on the sale of the property and usually a percentage of the selling price. This commission is negotiated in advance and stated in the ‘Authority to Sell’ document. Conveyancing: the legal process of transferring the property from one owner to another, including all appropriate checks and searches. Your conveyancer will usually liaise with the other party’s conveyancer to arrange deposits and settlement payments. Depreciation: you may be able to claim depreciation on an investment property based on the time you have owned it. Negative gearing: when the costs associated with owning an investment property exceed the income received in that tax year. This may be offset against the tax you pay on other income that year. Open for inspection: a set time each week when a property will be open to the public. Reserve: the price set by a seller as a minimum at auction – once this price has been reached at bidding, the property is ‘on the market’ and will be sold under the hammer to the highest bidder. Settlement: the date on which the sale of a property becomes final and the title passes from one person to another. The balance of the sale price is paid on settlement day and the new owner takes possession. Vendor: the person who owns and is selling a property. If there are any other terms not listed here that you are confused about, don’t hesitate to ask your local Century 21 Wentworth Falls agent. We’re at your service! Century 21 Wentworth Falls is experienced in the rental market having 2 highly regarded industry Property Manager Specialists located in our Wentworth Falls office. Our web site provides you with what you need to know when seeking to rent a property or looking to buy an investment for rental. The Property Managers will manage and maintain your key investment, keeping you informed every step of the way. What our asset management team can do for you? 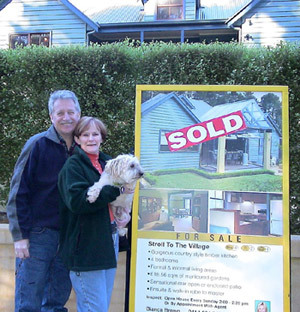 Century 21 Wentworth Falls Asset Management are recognised specialists in property management. Our property management solutions have been delivered to a broad range of property owners and tenants. The most technologically advanced office in the Blue Mountains featuring a 106 cm Interactive Touch Screen display allowing tenants to access your property 24 hours a day seven days a week at the touch of a finger. Highly skilled and experienced property management professionals who understand your need to maximise the return on your investment with constant assessments of the current rental market along with a yearly market appraisal of your investment by our sales department. A dedicated marketing team that display your investment to the largest database of potential tenants. Qualified, experienced, and well-regarded trades people who can ensure that maintenance issues are dealt with promptly and efficiently. Property management systems that monitor the day to day business of rent collection, lease renewals, rent arrears, maintenance requests and current rental market trends. …..which means that our landlords can confidently entrust their properties to us and be reassured that we will achieve the best possible outcome for them. Give adequate notice, at least 24 hours before entering a tenant’s property – except in emergencies. Enter only at reasonable times. It’s always wise to sit down with the leasing agent and go over any concerns you have or are unsure of. We are only too happy to discuss the in’s and out’s of the rental market and encourage renters to drop in to their local agent. When it comes to open house inspections, you can never be too prepared! The creators of lifestyle magazines and television shows know that there is an art to creating lasting first impressions that can greatly increase the market value of your home. At Century 21 Wentworth Falls, we know how to create that contemporary look for the right price. We can give you suggestions on presentation and we can get you in touch with all the right people – from interior decorators to a local handyman you can trust. A strategic approach to the internet gives Century 21 the most effective worldwide marketing strength. By its nature, the internet is a very big place – especially if you are looking for a home to rent. So, it follows that if you are leasing your home, it is simply not enough to post an advertisement on any old website and wait for the right people to stumble across it. They might never find it, or in the exhausting search, they might give up before they do. Century 21 Australia has a unique website, the 24 hour sales consultant, known as Seller Login. Seller Login offers 24 hour access and details of every step taken by the office in the marketing of your home and can be accessed at any time from anywhere. Seller Login is accessible via the Century 21 Wentworth Falls website using a designated username and password. Vendors are able to access a range of information and feedback split into two categories; Office Feedback and Property Inspection Details. Vendors are also able to monitor the number of “hits” their listing has received on the web. The service is not intended as a replacement of traditional sales consultants, merely an added service for vendors, to improve service and assist in the selling of a property. If a picture is worth a thousand words then a superior quality photograph speaks volumes in your terms of attracting potential buyers for your property. At Century 21 Wentworth Falls we understand the importance of using high quality pictorial images in the marketing of your home. Each and every marketing initiative and innovation undertaken by Century 21 Wentworth Falls is carefully considered for its benefit to buyers and sellers alike. 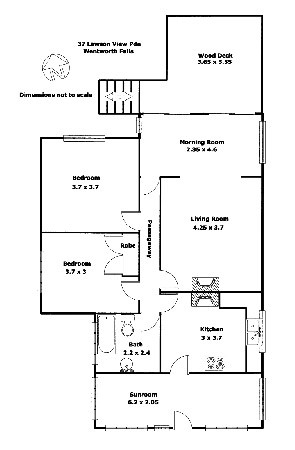 That is why every brochure we produce includes a detailed floor plan diagram on the reverse. 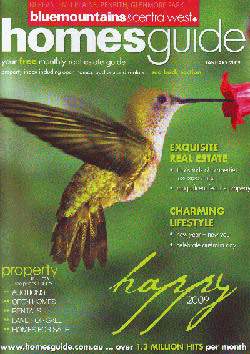 The “Homesguide” is the major magazine distributed throughout the Nepean, Blue Mountains and Central West. With its eye catching cover and up-to-the minute design it stands out from other property magazines. With special features including editorials on the Blue Mountains and heart warming recipes, this magazine is more a coffee table book, therefore prolonging the shelf life of your property in the buyers minds. Like our signboards, our exceptional window display advertisements continue to be one of the most effective marketing strategies in the process of finding buyers for your property. Put simply, our window works! And for good reason, featuring state-of-the-art streamlined design complemented with a compact and clear layout, our window is truly “high-tech”. The inclusion of a 106 cm interactive touch screen allows access to your property 24/7 and is the first of its kind in the Blue Mountains. Buyers can visit your property after hours and leave their details of any properties that interest them through email facilities incorporated in the interactive touch screen. By night, they are illuminated, giving a bright, clear image to ensure property details are easy to read and helping to turn casual home browsers into prospective buyers. In effect, our windows offer 24-hour sales benefit for your property and at no extra cost to you! With unrivalled frontage to the busy highway of The Blue Mountains, our window displays maximise the chance of your property being noticed by local pedestrian traffic and serious buyers. When you list your property with us, you are backed by an internationally recognised real estate corporation. The Century 21 signboard, displayed on thousands of properties throughout Australia and the world, is an instantly recognisable and familiar symbol of success in real estate marketing.